Showing where you can get the Mortal Blade in Sekiro: Shadows Die Twice. 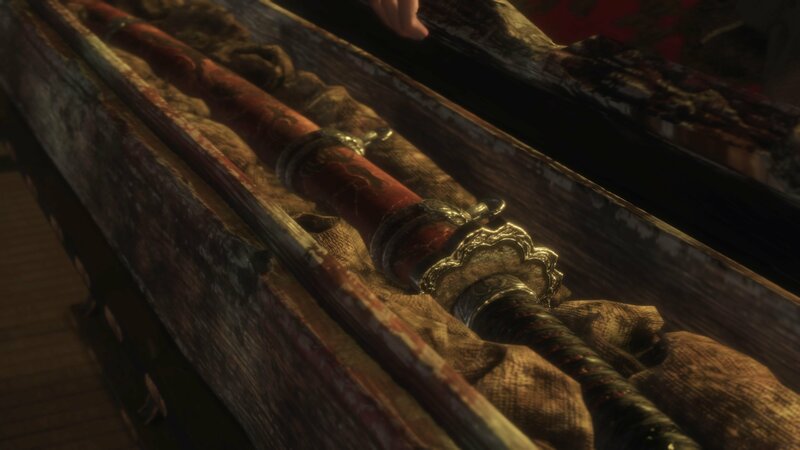 In Sekiro: Shadows Die Twice, there are a variety of items and weapons you can collect as you make your way through the game, including the Mortal Blade. Curious to know how to get your hands on the Mortal Blade? We’ve got you covered! Below, we’ve put together a quick guide explaining where to get the Mortal Blade in Sekiro: Shadows Die Twice. 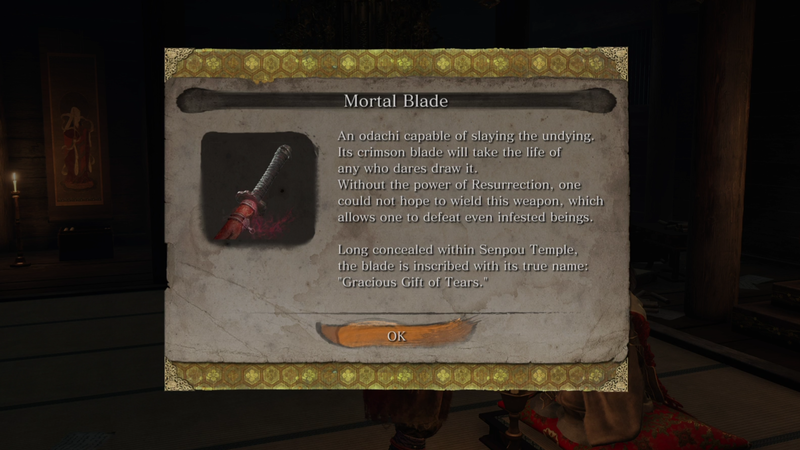 The Mortal Blade can be found after defeating Genichiro, then heading out into Senpou Temple in Sekiro: Shadows Die Twice. Players will first learn of the Mortal Blade’s existence after travelling to Ashina Castle and besting the formidable Genichiro in the Castle Tower Lookout. As such, those looking to grab the Mortal Blade will first need to visit Ashina Castle and defeat Genichiro. After that, players will be informed that the Mortal Blade is located somewhere in Senpou Temple. To reach Senpou Temple, head down to the Sculptor’s Idol in Ashina Castle and then follow the path out through the Abandoned Dungeon and into Senpou Temple. In the Main Hall of Senpou Temple, be sure to rest at the Sculptor’s Idol and save your progress. After that, ring the bell on the desk located near a tall statue. In doing so, you’ll be whisked away to the Hall of Illusions. Inside the Hall of Illusions, you’ll face off against four enemies known as the Folding Screen Monkeys. Beat all four Folding Screen Monkeys and complete the puzzle in order to unlock the Inner Sanctum. In the Inner Sanctum, speak with the Divine Child of Rejuvenation in order to receive your Mortal Blade. For a visual guide on where to get the Mortal Blade in Sekiro: Shadows Die Twice, be sure to check out the video below courtesy of YouTube users TetraNinja. Now that you know where to get the Mortal Blade in Sekiro: Shadows Die Twice, be sure to check out some of our other guides including how to beat the Headless in Sekiro: Shadows Die Twice, where to get the Loaded Spear in Sekiro: Shadows Die Twice, and where to find the Flame Vent in Sekiro: Shadows Die Twice.